The story about a bear - winner of robbers in Azerbaijan State Youth Theatre of Young Spectators buy tickets online. Delivery of tickets for the event The story about a bear - winner of robbers. 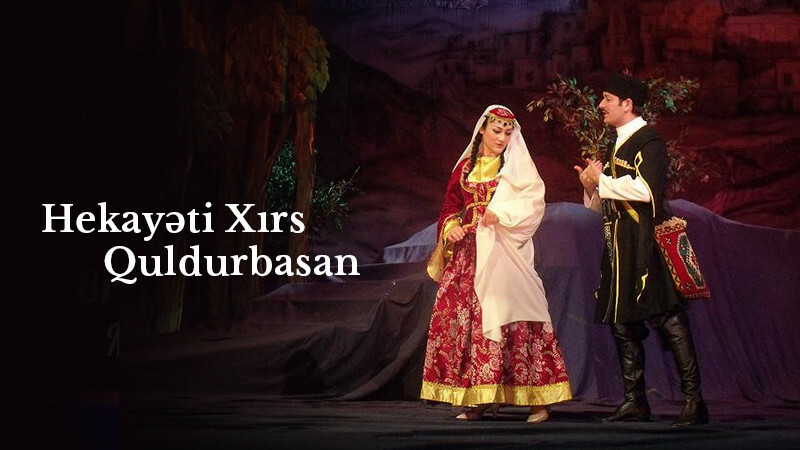 One of the founders of the Azerbaijani theater, Mirza Fatali's comedy “Hekayati khirs Gouldourbasan”is dedicated to the 150th anniversary of the author's work. The funny situations the hero falls in are comic for the audience. Coward Tarverdi from a wealthy family, a beautiful Parzad whom he wants to marry, Bayram who loves the girl deeply and is ready to die for her, Zalkha and her husband Namaz, who set up a thousand games to earn money, traveling Franz Fox, her friend Maria Adamovna and others fall in funny situations on the stage. There are two characters that add color to the performance: Bear and Monkey. These two animals have their own role in the game where people play to each other. Spectators rest, laugh out and think about the author's clever idea in theperformance withaccompaniment of beautiful music and dresses.